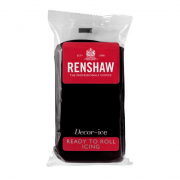 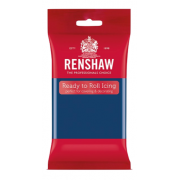 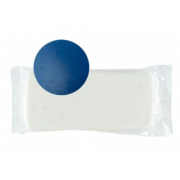 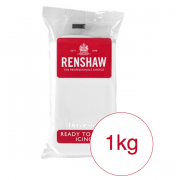 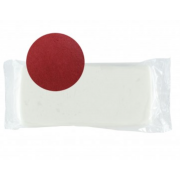 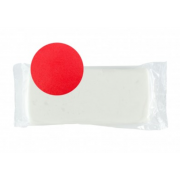 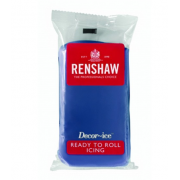 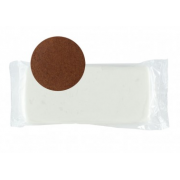 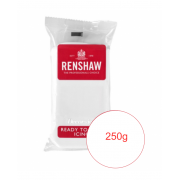 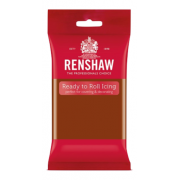 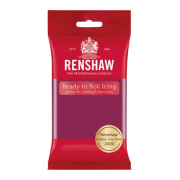 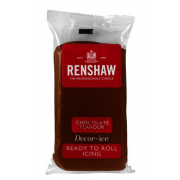 Jet Black Sugar Paste from Renshaw is now available from us in 12 x 250g packs to bring you great ..
Poppy Red Sugar Paste from Renshaw is now available from us in 12 x 250g packs to bring you great ..
White Sugar Paste from Renshaw is now available from us in 12 x 250g packs to bring you great savi..
Yellow Sugar Paste from Renshaw is now available from us in 12 x 250g packs to bring you great sav..
Our Renshaw professional Purple 250g sugarpaste is a ready to roll icing, offering a fuss free solut..
Our Renshaw professional Atlantic Blue 250g sugarpaste is a ready to roll icing, offering a fus..
Our Renshaw professional Atlantic Blue 500g sugarpaste is a ready to roll icing, offering a fus..
Our Renshaw professional Baby Blue 250g sugarpaste is a ready to roll icing, offering a fuss free so..
Our Renshaw professional Baby Pink 250g sugarpaste is a ready to roll icing, offering a fuss free so..
Our Renshaw professional Bottle Green 250g sugarpaste is a ready to roll icing, offering a fuss free..
Our Renshaw professional Cassis 250g sugarpaste is a ready to roll icing, offering a fuss free solut..
Our Renshaw professional Chocolate Brown 250g sugarpaste is a ready to roll icing, offering a fuss f..
Our Renshaw professional Cool Grey 250g sugarpaste is a ready to roll icing, offering a fuss free so..
Our Renshaw professional Dark Brown 250g sugarpaste is a ready to roll icing, offering a fuss free s..
Our Renshaw professional Duck Blue 250g sugarpaste is a ready to roll icing, offering a fuss free so..
Our Renshaw professional Emerald Green- 250g sugarpaste is a ready to roll icing, offering a fuss fr..
Our Renshaw professional Fuchsia 250g sugarpaste is a ready to roll icing, offering a fuss free solu..
Our Renshaw professional Grey 250g sugarpaste is a ready to roll icing, offering a fuss free solutio..
Our Renshaw professional Jade 250g sugarpaste is a ready to roll icing, offering a fuss free solutio..
Our Renshaw professional Jet Black 250g sugarpaste is a ready to roll icing, offering a fuss free so..
Our Renshaw professional Jet Black 500g sugarpaste is a ready to roll icing, offering a fuss free so..
Our Renshaw professional Lilac 250g sugarpaste is a ready to roll icing, offering a fuss free soluti..
Our Renshaw professional Lime Green 250g sugarpaste is a ready to roll icing, offering a fuss free s..
Our Renshaw professional Lincoln Green 250g sugarpaste is a ready to roll icing, offering a fuss fre..
Our Renshaw professional Lincoln Green 500g sugarpaste is a ready to roll icing, offering a fuss fre..
Our Renshaw professional Navy Blue 250g sugarpaste is a ready to roll icing, offering a fuss free so..
Our Renshaw professional Orange 250g sugarpaste is a ready to roll icing, offering a fuss free solut..
Our Renshaw professional Pastel Green 250g sugarpaste is a ready to roll icing, offering a fuss free..
Our Renshaw professional Pastel Yellow 250g sugarpaste is a ready to roll icing, offering a fuss fre..
Our Renshaw professional Poppy Red 250g sugarpaste is a ready to roll icing, offering a fuss free so..
Our Renshaw professional Poppy Red 500g sugarpaste is a ready to roll icing, offering a fuss free so..
Our Renshaw professional Powder Blue 250g sugarpaste is a ready to roll icing, offering a fuss free ..
Our Renshaw professional Pink 250g sugarpaste is a ready to roll icing, offering a fuss free solutio..
Our Renshaw professional Pink 500g sugarpaste is a ready to roll icing, offering a fuss free solutio..
Our Renshaw professional Ruby Red 250g sugarpaste is a ready to roll icing, offering a fuss free sol..
Our Renshaw professional Sapphire Blue 250g sugarpaste is a ready to roll icing, offering a fuss fre..
Our Renshaw professional Skin Tone 250g sugarpaste is a ready to roll icing, offering a fuss free so..
Our Renshaw professional Teddy Brown 250g sugarpaste is a ready to roll icing, offering a fuss free ..
Our Renshaw professional Turquoise 250g sugarpaste is a ready to roll icing, offering a fuss free so..
Our Renshaw professional White 250g sugarpaste is a ready to roll icing, offering a fuss free soluti..
Our Renshaw professional Yellow 250g sugarpaste is a ready to roll icing, offering a fuss free solut..
Our Renshaw professional Yellow 500g sugarpaste is a ready to roll icing, offering a fuss free solut.. 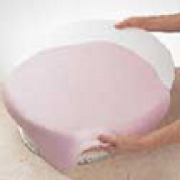 Covering Round Cakes with Rolled Sugarpaste Step 1 Prepare cake by lightly covering wi.. 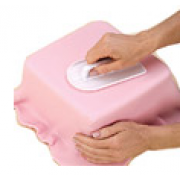 Covering Square Cakes with Rolled Sugarpaste Don't let the sharp corners of a square cake intimid..
M&B Amethyst sugarpaste is a soft, pre-coloured, ready to roll icing, offering a fuss free solut..
M&B Black sugarpaste is a soft, pre-coloured, ready to roll icing, offering a fuss free solution..
M&B Blue sugarpaste is a soft, pre-coloured, ready to roll icing, offering a fuss free solution ..
M&B Brown sugarpaste is a soft, pre-coloured, ready to roll icing, offering a fuss free solution..
M&B Claret sugarpaste is a soft, pre-coloured, ready to roll icing, offering a fuss free solutio..
M&B Deep Pink sugarpaste is a soft, pre-coloured, ready to roll icing, offering a fuss free solu..
M&B Green 2 sugarpaste is a soft, pre-coloured, ready to roll icing, offering a fuss free soluti..
M&B Green sugarpaste is a soft, pre-coloured, ready to roll icing, offering a fuss free solution..
M&B Grey sugarpaste is a soft, pre-coloured, ready to roll icing, offering a fuss free solution ..
M&B Holly Green sugarpaste is a soft, pre-coloured, ready to roll icing, offering a fuss free so..
M&B Ivory sugarpaste is a soft, pre-coloured, ready to roll icing, offering a fuss free solution..
M&B Lemon sugarpaste is a soft, pre-coloured, ready to roll icing, offering a fuss free solution..
M&B Lilac sugarpaste is a soft, pre-coloured, ready to roll icing, offering a fuss free solution..
M&B Navy Blue sugarpaste is a soft, pre-coloured, ready to roll icing, offering a fuss free solu..
M&B Orange sugarpaste is a soft, pre-coloured, ready to roll icing, offering a fuss free solutio..
M&B Pastel Blue sugarpaste is a soft, pre-coloured, ready to roll icing, offering a fuss free so..
M&B Pastel Green sugarpaste is a soft, pre-coloured, ready to roll icing, offering a fuss free s..
M&B Pastel Pink sugarpaste is a soft, pre-coloured, ready to roll icing, offering a fuss free so..
M&B Pastel Yellow sugarpaste is a soft, pre-coloured, ready to roll icing, offering a fuss free ..
M&B Peach sugarpaste is a soft, pre-coloured, ready to roll icing, offering a fuss free solution..
M&B Red 2 sugarpaste is a soft, pre-coloured, ready to roll icing, offering a fuss free solution..
M&B Red sugarpaste is a soft, pre-coloured, ready to roll icing, offering a fuss free solution f..
M&B White sugarpaste is a soft, pre-coloured, ready to roll icing, offering a fuss free solution..
Atlantic Blue Sugar Paste from Renshaw is now available from us in 12 x 250g packs to bring you gr..
Baby Blue Sugar Paste from Renshaw is now available from us in 12 x 250g packs to bring you great ..
Chocolate Flavour Sugar Paste from Renshaw is now available from us in 12 x 250g packs to bring yo..
Lincoln Green Sugar Paste from Renshaw is now available from us in 12 x 250g packs to bring you gr.. 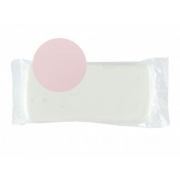 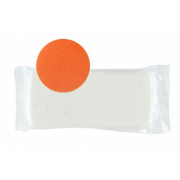 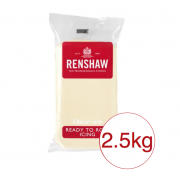 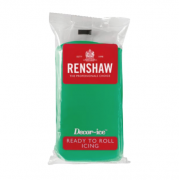 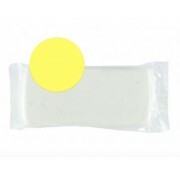 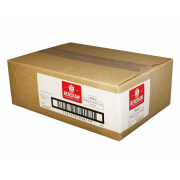 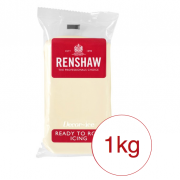 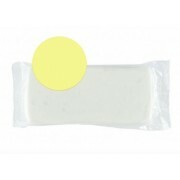 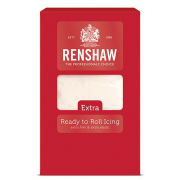 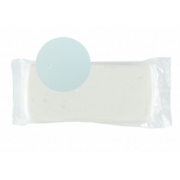 Pastel Green Sugar Paste from Renshaw is now available from us in 12 x 250g packs to bring you gre.. 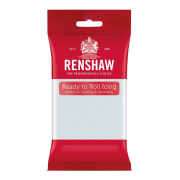 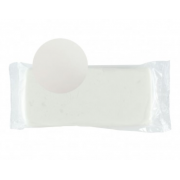 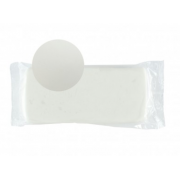 Pink Sugar Paste from Renshaw is now available from us in 12 x 250g packs to bring you great savin..
Our Renshaw professional Celebration - Ivory 1kg sugarpaste is a ready to roll icing, offering a fus..
Our Renshaw professional Celebration - Ivory 2.5kg sugarpaste is a ready to roll icing, offering a f..
Our Renshaw professional White 1kg sugarpaste is a ready to roll icing, offering a fuss free solutio..
Our Renshaw professional White 2.5kg sugarpaste is a ready to roll icing, offering a fuss free solut..